Today was a full day of confession in Orthodox Life (OL), and priests from around our Metropolis heard confession from our campers and counselors. Campers continued their work on their icons in Diakonia and talked about what love is in Bible Study. 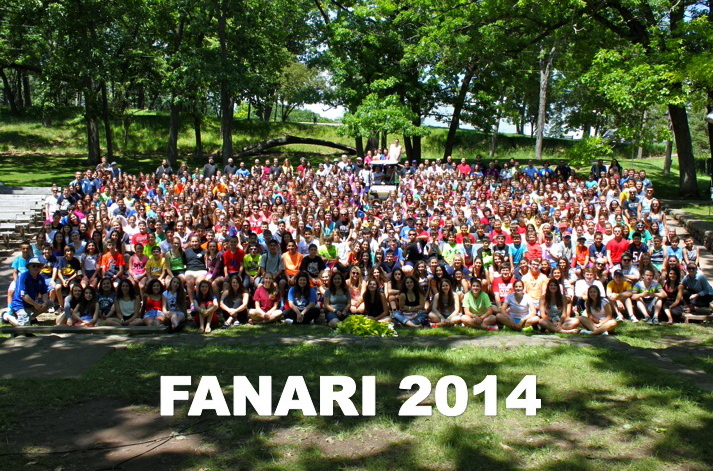 Free time brought beautiful sunshine, perfect warm weather, and the prelims for the 3rd Annual Fanari Water Games (canoe races). Each grade will advance two teams for tomorrow’s finals…we’re looking forward to a fun afternoon on the water! Tonight we brought back a Fanari classic, the Song Game. Each grade competed in preliminary rounds amongst themselves, and then sent one team to the finals. The final round had the 6th grade vs. the 9th grade….with the 6th grade pulling off the win!